"Maybe we need to show children that these remarkable women were once children too. And that everyone has potential." ​Nowadays, people are putting a lot more thought into how the toys we play with as children affect our sense of identity and personal development. What message are we sending to little girls when we give them princess dolls, whose only job is to look beautiful and wait patiently for Prince Charming? What message are we sending them when these dolls have unrealistic proportions and faces covered in heaps of makeup? These are the questions that concerned Vancouver-based artist Wendy Tsao, whose company, Child's Own Studio, started the trend of creating soft toys out of the imaginative illustrations of kids themselves. 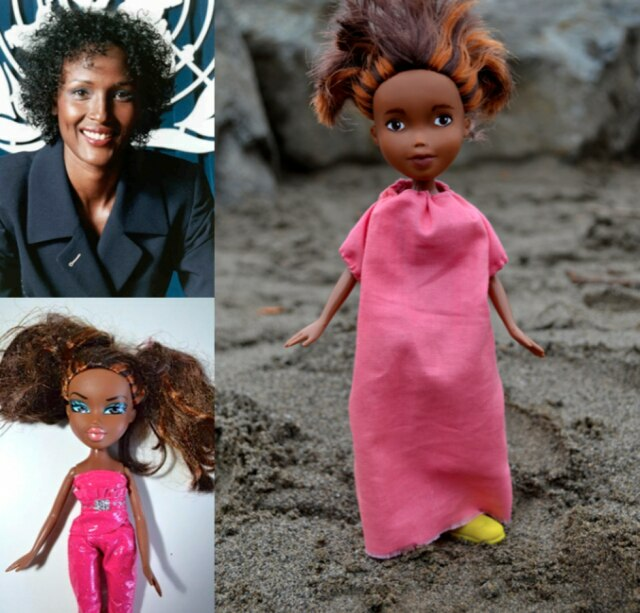 While looking for new projects this year, she came across the Tree Change dolls — a collection of Bratz dolls that were "made under" by artist Sonia Singh. 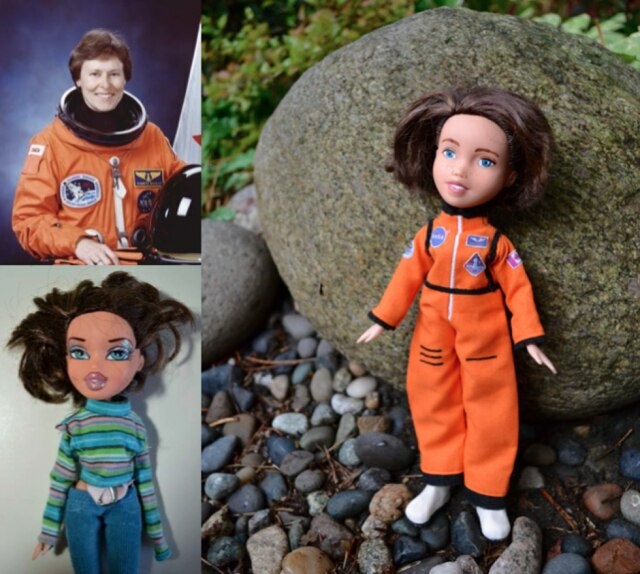 It was then that she was inspired to repurpose Bratz dolls into some of the women that she admires as part of a series she called Mighty Dolls. 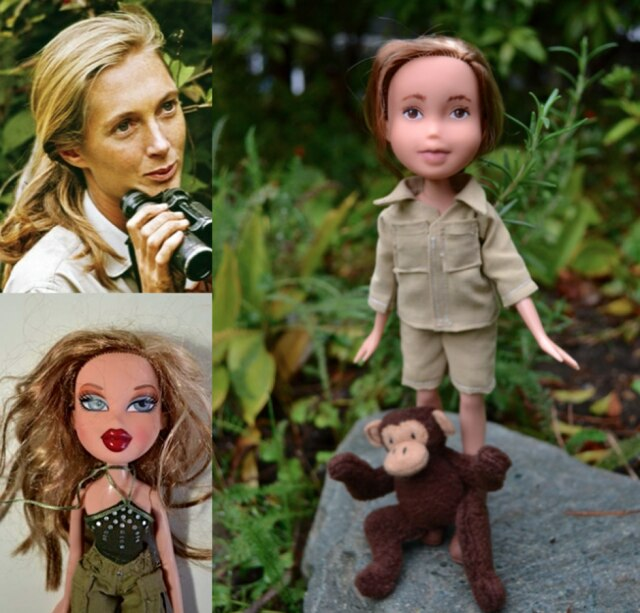 When she read a children's book about Jane Goodall as a child playing in her yard with her toy gorilla, Tsao had the idea that perhaps making the toys into little girl versions of the women would make them more relatable to girls. 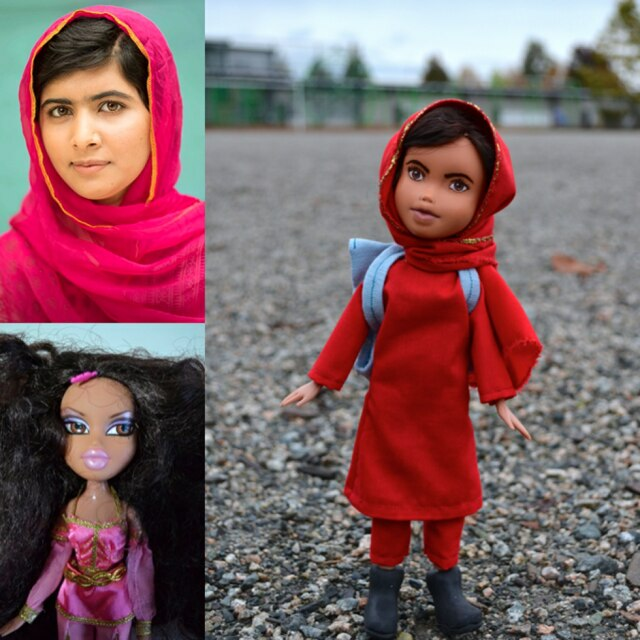 "I wonder if a child who plays with a doll of someone who is a real person who did some amazing things when they grow up might think more about real-life things and appreciate more the real potential that lies within all of us, than when she or he plays with say, a Disney character or Bratz doll," Tsao told Seventeen.com. "Perhaps a child can't appreciate these role models, because these women are famous adults. Maybe we need to show children that these remarkable women were once children too. And that everyone has potential." Since the response to the dolls has been so overwhelmingly positive, Tsao will be selling some of them on eBay sometime in the near future. If you would like to receive updates about her work, you can subscribe to her website. If you want to learn more about how to make your own repurposed Bratz dolls, you can check out some of these awesome video tutorials.